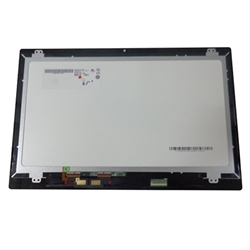 Home → Laptop Digitizers → Acer Aspire R14 R3-431T R3-471T Lcd Screen & Touch Digitizer Glass 14"
Description: New Acer replacement laptop lcd screen and touchscreen digitizer glass 1366x768. This part does not include the bezel. This module is for touchscreen-version laptops only. If your laptop did not come with a touchscreen, this is not the correct part. Compatible Part #'s: B140HAT02.0, B140XTN02.9. Acer Aspire R14 R3-431T, R3-471T, R3-471TG.